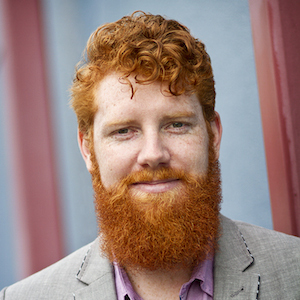 Jason Fox is the author of The Game Changer and an expert on motivation strategy and design. This is episode 033 of the Ideas Architect Podcast. Dr Jason Fox is a speaker, author and consultant on motivation and design. He has a PhD based on learning how to motivate people to achieve their goals. Today he applies the principles of motivation Science and Game Design to help executives and organisations be more effective at work. He’s also a popular and entertaining keynote speaker. 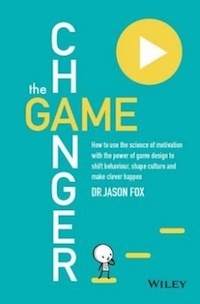 His book, The Game Changer: How to use the science of motivation with the power of game design to shift behaviour, shape culture and make clever happen, was recently published by Wiley. He’s also a lover of fine coffee and a former avid game player, starring in potion making on World of Warcraft. Why Games are not just fun and entertainment. And, they could be the key to your workplace performance. The importance of flow and creating a meaningful challenge in the design of your work. The self-defeating power of rewards. Whilst they’re powerful motivators, they have a dangerous limit where they can fuel the opposite effect of what you want to promote. The difference between intrinsic and extrinsic motivation. And, the different between internal drivers and intrinsic motivation. Why a tick-the-box, quick fix and a motivation tip might not work. How your environment shapes your motivation to get tasks done. Why we should change the game and not the player. The important difference between Quests and Missions. And, why Quests are sorely missing in the corporate environment. Why you might want to employ a Mission Codename like ‘Lazy Dog’ or ‘Datashine’. How Goal-setting can limit growth and undermine innovation. Why providing unique experiences may be better and richer rewards than token gifts like movie tickets and bottles of wine. The motivational strategies that Jason used to write his book – including the ones that didn’t work.